I started to compose my photo zine in 2016 when I discovered, in fact, A5 zine is a good format to deliver photographs with stories. I bet I can call myself a zinester. A photobook can be very huge if you are the collector of Photobook you will be familiarized with some great photobook publisher such as Steidl, Thames and Hudson, MACK etc. 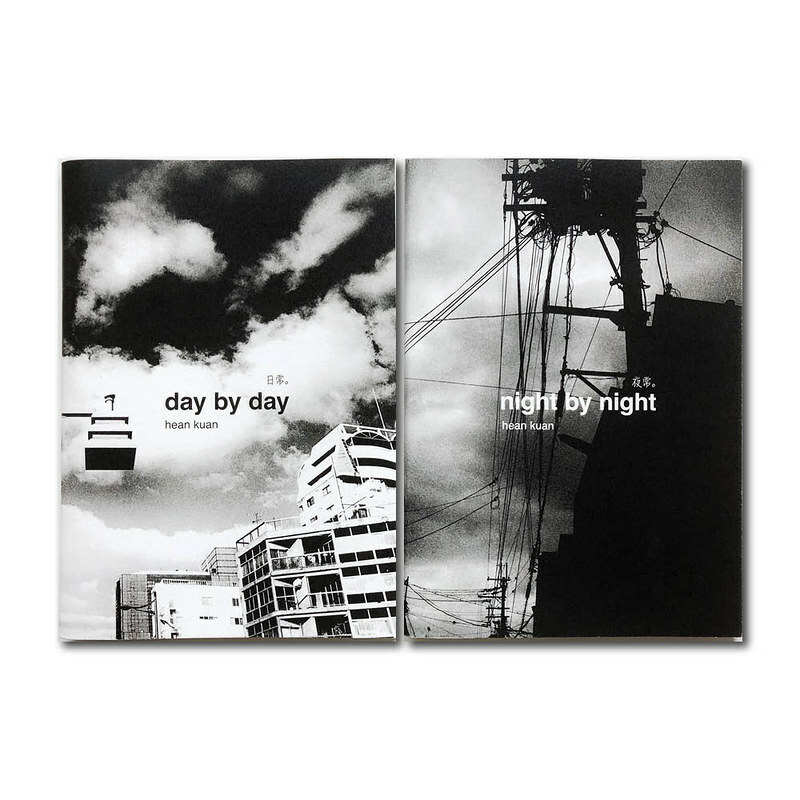 And photobook can be tiny, sometimes is even smaller than A5 size, you usually find small photobook from Asian publisher, for example, Daido Moriyama “Shinjuku Plus”. A large photobook is elegant, serious; where small photobook is intimacy. Both of them are great in their own sense. In fact for a zine, it can be a various size too, but here I wanted to focus on A5 sized portrait format zine. Compare the A5 zine format to the large and small photobook, it seems zine can be closer to the small photobook. However, it has some significant differences between them. In order to save cost for producing a small photobook in Asia, publisher commonly chooses the perfect bind to the project. It is the most common bookbinding method to produce over a 200 pages book. However, when it comes to photobook, it lies a problem where if you arrange a landscape format images into a spread of portrait format book, the photograph will be clipped in the middle. Well, it is still fine as it produces a unique way of seeing the photographs over the spread. But, due to the perfect bind, the photograph in the middle of the spreads will be eaten, sometimes it may cause the undesired experience to the reader. Seriously, somehow it is unbearable to me. A5 sized zine format resolved this problem, it uses straddle stitch bookbinding method, every pages it opens up completely, even you put the photographs over the spread, it lies perfectly. The professional publisher, however, could produce photobook that lay flat, by using OTA binding, but it is expensive. This is the main reason that I choose photo zine instead of the small photobook, I wanted it to lay flat but I can’t afford OTA binding. The only drawback of straddle stitch is you can only bind a limited page, else it will be too ugly to present your work. To have more pages to cover your story? Makes them into a few copies. Anders Peterson ‘s City Diaries published by Steidl gives us a very good example of using straddle stitch. So, I wanted to produce a quality zine. To me, a zine can deliver more than a content, It delivers the sentiment. The design, the arrangement of the photographs, the typography, and also the choice of paper, the printing and binding style, they all counted. They are all you got, to express whatever you wanted to express on the folds of papers. I always have a lot of ideas, regarding the photo zine design, some works some don’t. I used to just think about it for quite some time before I started to realize it on a dummy. 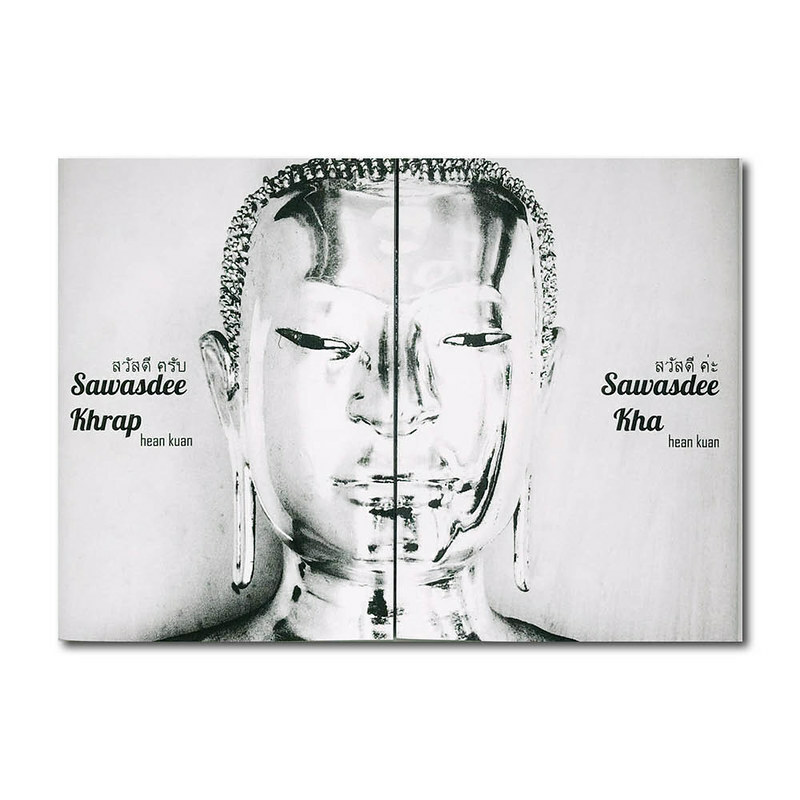 The concept of making my third zine “Sawasdee Zine” was started before I published my second zine “Day by day, Night by night” I did make a dummy of the early design of “Sawasdee” zine, but It failed. Somehow the “Day by day, Night by night” works, therefore it has been published first. However, Sawasdee zine design was revisited, after a year later. Paper selection is important, they are the skin and fresh of my zine. I seriously wanted them to be sensible, when you hold my zine, you will feel it, as my choice of paper is great. I am lucky because I found my best paper combination for cover and inner that suit my project from the beginning. Since my first zine “Home Town“, I started to use them. A couple of my friends told me the same, they do love the touch, this gives me a lot of confidence. Yes, I have picked the right combination after all. Printer. To find a suitable print shop that produces the right print for my zine is challenging. To print it right is not easy. The print shop might able to produce a decent color digital print doesn’t mean they can produce a suitable black and white print. When I show them what I want, they told me “That is offset printing.” That was when I begin to learn about the offset printing was not what I can afford. But again, thank God I finally got the right print for “Sawasdee Zine“. I was so delighted when received the zines from the print shop. Marketing, perhaps I am bad at it, the biggest challenge for me. I envy those who have the ability to sell anything to anyone, I bet I am not a good salesman, but I am learning. I am a zinester, all my zines are my babies. I don’t want to sell them like vegetables, I wish the collectors who get my zine are delighted. 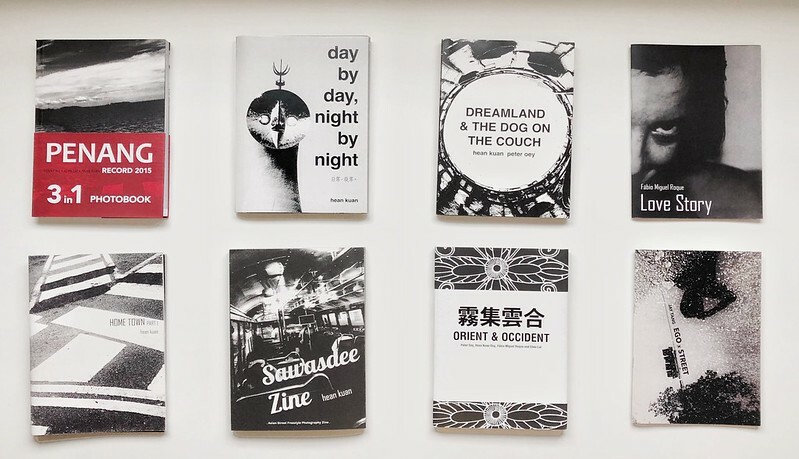 My goal is to produce a reasonable quality zine with reasonable price. But I wish my zine’s value can be raised from time to time. A romantic example to me, If Robert Frank ever published a limited copy of photo zine himself on the early days and I do own a copy of it, and this piece of zine could probably more valuable than his famous photobook “The Americans”. I am thankful to God, I get to know many new friends, who love photobooks, photo zines like me. With Eden Lai, Fábio Miguel Roque and Peter Oey, we collaborate to produce an epic zine called “Orient & Occident“, besides gaining experience working together, we do enjoy along the process. I am honored, that Fábio Miguel Roque trusted me to design a zine for him, it called “Another love story“, I love the outcome of that zine, it is amazing! I hope he likes it too. 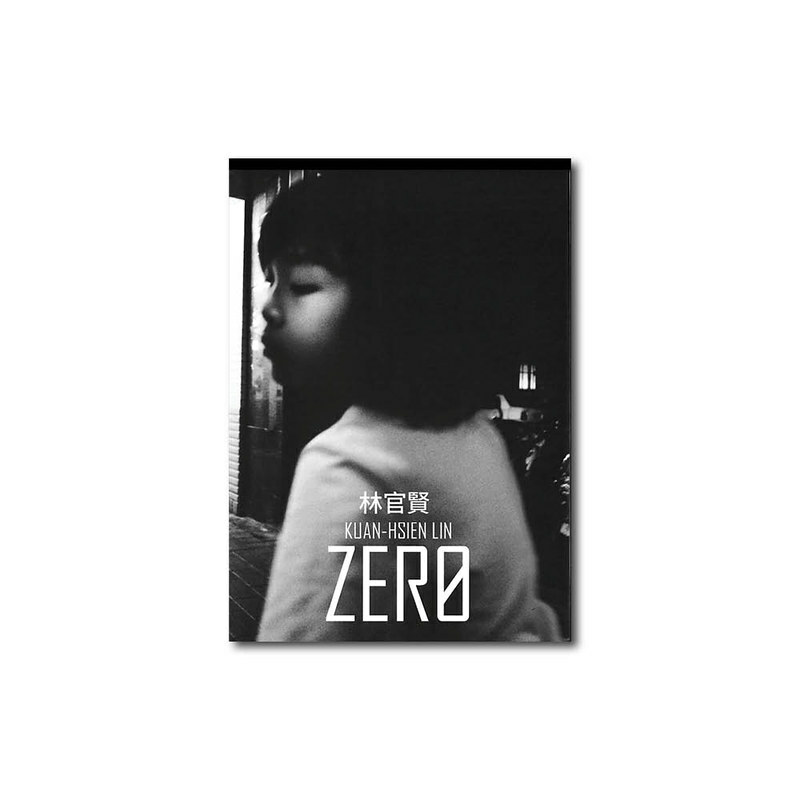 I design “Ego x Street” zine for Jay Tang and “ZERO” photobook for Kuan-Hsien Lin that published recently. And very recently, I get to know about inSomnia Photography, and Nathanaël Coetzée. He and his friends have started the inSomnia Photography Magazine, to promote the body of works of the various artist over the world. They started them online, published on ISSUU, but people started to ask for a real print! Wonderful isn’t it? By noticing them, I feel I have found the new comrades, that shares the same sentiments and love towards the photography in print. I really look forward to collaborating with inSomnia group, and I wish them all the best! There are more challenges and room of improvement ahead of me that I can’t list now. But finally, I would like to thank all of you who had helped me in the past, who support me by purchasing my zines, who gives me guidance, tolerate my stupidity and laziness. For sure I wish to continue getting support from you all in the future, I will do my best, to produce delighting zines, because I am a zinester.